Human Connection: Is there an app for that? Worth a try, but no. A meaningful human connection is the energy that exists between people when they feel seen, heard, and valued; when they can give and receive without judgement; and when they derive sustenance and strength from the relationship. We are about to enter the high-volume-of-social-exchange time of year. There will be Christmas parties on top of work functions with social gatherings mixed in between. The array of social exchanges will vary, some will be deep while others may be light, and that’s okay, take it as it comes – embrace it all. We are social specimens and establishing and maintaining rich social connections is invaluable. When we become consciously aware of our health and maximising our experience here on earth, we naturally invest time and energy into what and how we eat, move, think and sleep, yet how many of us know that social connection is as important? Social groups provide us with the option to share and contribute, teaching us a set of skills that help us to live our lives. Feeling socially connected, especially in an increasingly isolated world, is more important than ever. The truth of the matter is that a sense of social connection is one of our fundamental human needs. Boost your mental health with FRIENDS: Friendships offer a number of mental health benefits, such as increased feelings of belonging, purpose, increased levels of happiness, reduced levels of stress, improved self-worth and confidence. You can’t always control who you are socialising with, however make sure (especially in the busy times) that you inject catch ups with people who are good for your mental health. Be with people who uplift and support you. If you’re not sure how to begin forming social connections, start by looking inward. What are your interests or hobbies? What kind of personalities are you naturally comfortable around? Devote time to becoming active in your community, volunteering, or joining a club or social organization. If you meet a potential friend, create an opportunity to spend time together. 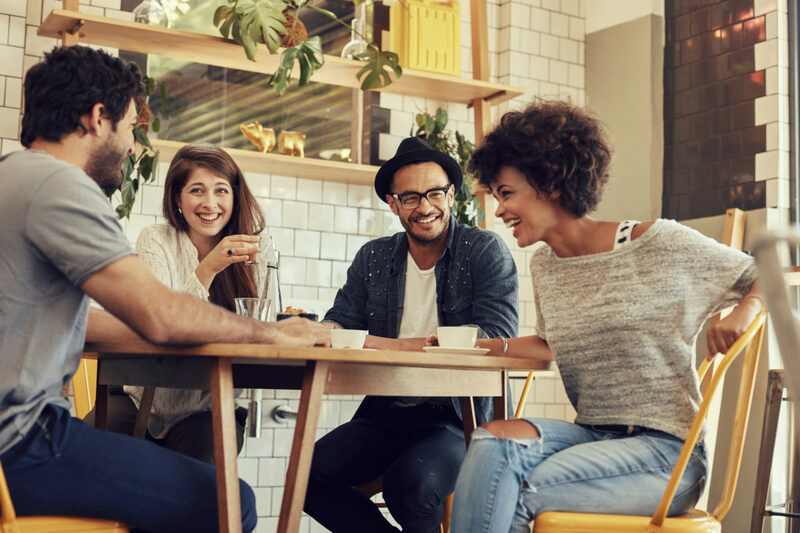 Remember that social connections that impact your overall health and well-being may simply begin with a cup of coffee or a shared meal, but they require time and effort. Forming strong, healthy relationships with others means opening up and actively listening. These relationships can change the course of your life. Are you shy? Is it hard for you to meet people? Rest your worries. The most fascinating truth about connection is that it has nothing to do with the number of friends you have on Facebook or the amount of community groups to which you belong. If you’re a lone wolf or an introvert, you can still reap the benefits. How is that possible? A sense of connection is internal: if you feel connected to others on the inside, you reap the benefits thereof! While many of us cannot always control the number of friends we have, one thing we can take responsibility for is the state of our mind. Ever felt lonely in a crowd or a group of your own acquaintances? In the same way, it is possible to feel connected in a group of strangers. We can foster, nurture and build our internal sense of connection. It just takes a little courage and a spirit of adventure. We hope this has been a little reminder to love, connect, embrace and enjoy.